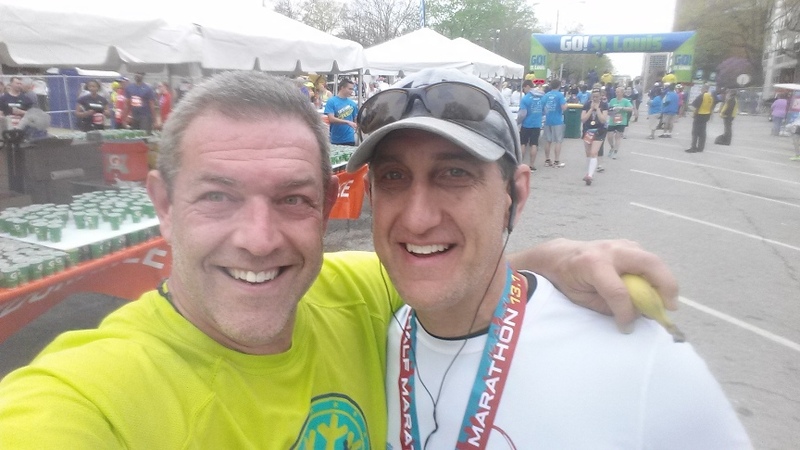 Ever since I ran my first 10K in the Summer of ’94 then my first full marathon a few months later every downtown St Louis 1/2 marathon followed essentially the same routes. This year was a welcomed departure from the norm and turned this course into one of my all time favorites. The course started from it’s usual location on Market Street but instead of starting out by heading South towards the Anheuser Busch brewery, it went East, straight towards the first of two bridges which were to be crossed. Shortly after the the first mile marker began the “race within a race” the 3.5 mile Bridge Run which had it’s own starting and finishing strips to time runners. 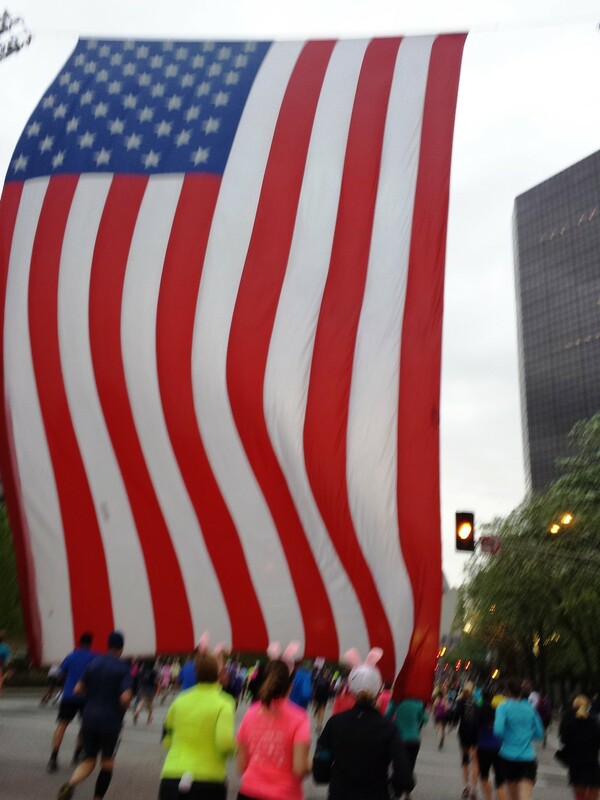 During the first mile this giant flag was hanging a little too low, and unless you were 4 ft tall or less, you were bound to run into it. A little low but at least it wasn’t hitting the ground. 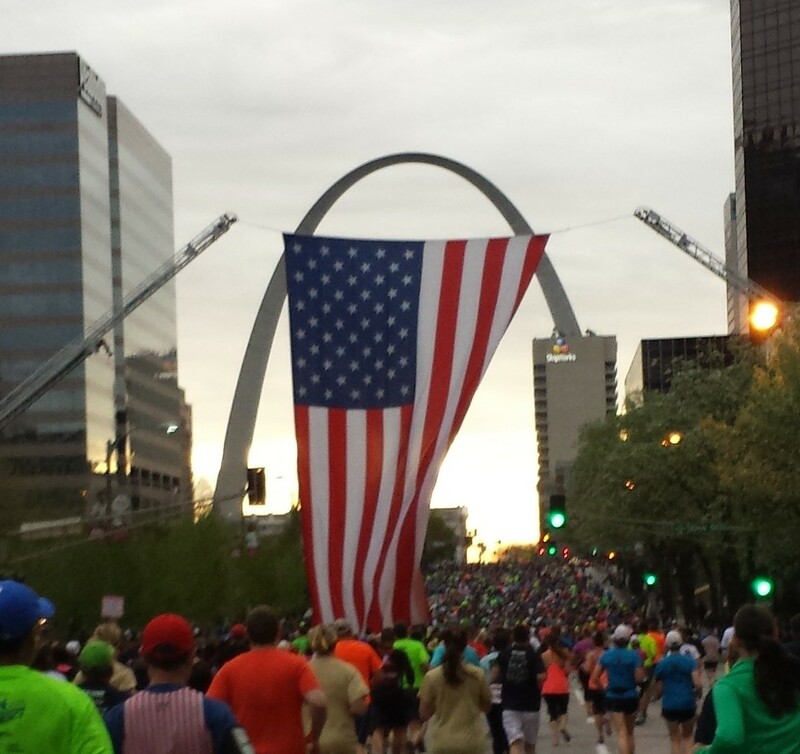 With overcast skies at the beginning of the race we didn’t get to see the sunrise until the start of our first bridge, Eads Bridge which was had it’s initial construction way back in February of 1868 and first opened to the public on July 4th, 1874. I never realized how long this bridge was until running over the whole thing but the beautiful sunrise kept us all company. After exiting the Eads Bridge on the Illinois side of the river we made our way over to the Martin Luther King bridge via Collinsville Ave in East St Louis. 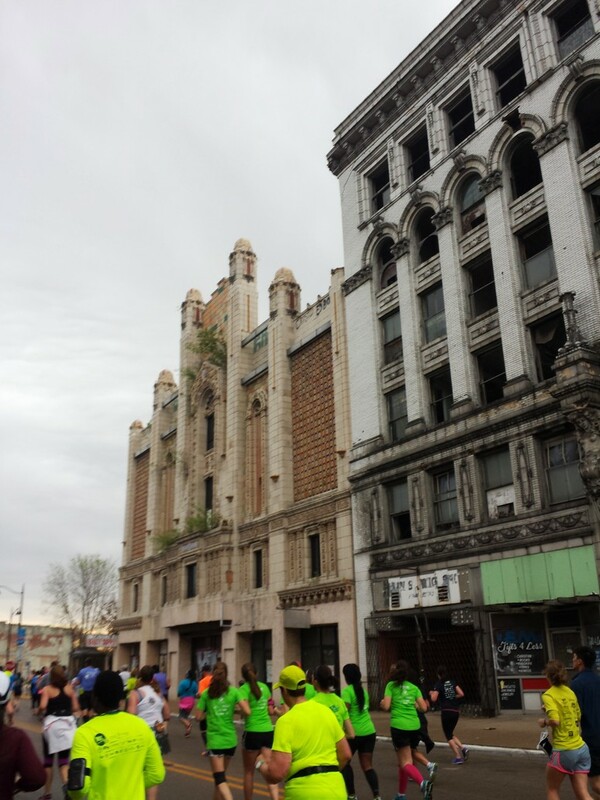 I’m not sure how many runners realized this but, along the right side of the road we got to pass the Majestic Theatre. 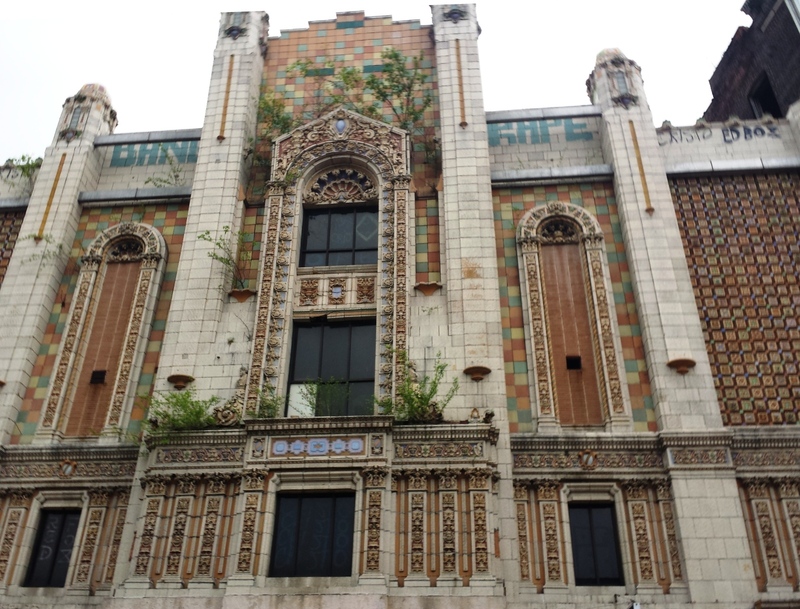 About 20 months ago, I did a little research and expose’ on the Majestic Theatre after taking a snapshot of the building from the highway and being curious about it. At a cost of $1 million the Majestic opened in 1928, had seating for over 1,800 people and a 3 tier balcony. Up until it closed it’s doors in 1960, it was known as the brightest spot in Illinois owing to an illuminated marquee which contained over 3,000 bulbs of various colors and a chasing border surrounded by neon lights. The run back into Missouri via the Martin Luther King (MLK) bridge offered some fantastic skyline views of the city of St Louis. If the GO! 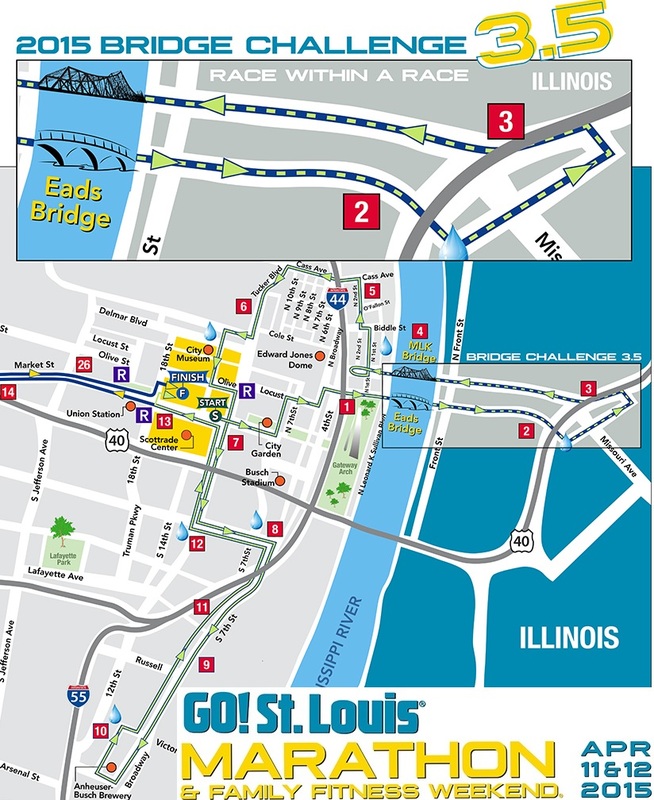 St Louis race directors keep this same route and you’ve never been to St Louis before, I would highly recommend this run as a great way to see the city for the first time. 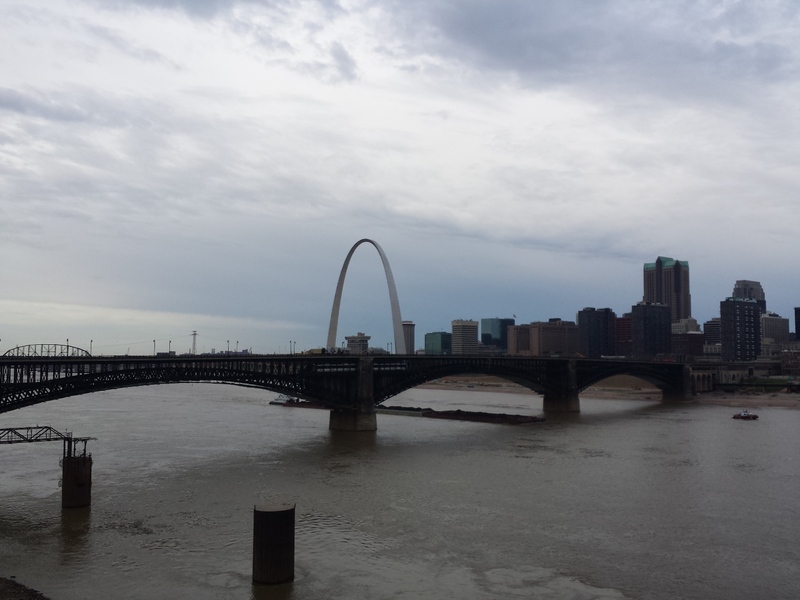 As we got closer to the MLK bridge the skyline, the gateway Arch and the Eads bridge we had crossed to get into Illinois provided some more nice views. In the picture below, you may be able to notice the coast guard in the Mississippi river but there was also a helicopter overhead as well as a drone by the MLK bridge. 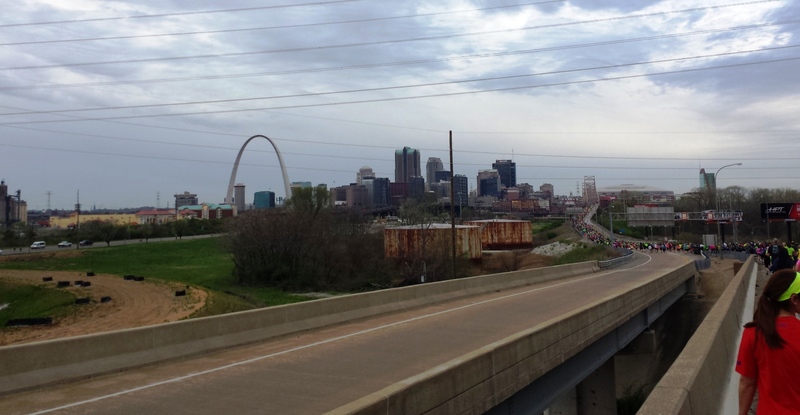 After getting back into St Louis city, we quickly found ourselves at Miles 5 and 6 – the race was nearly half over. From mile 7 to about mile 12.5 was really cool. 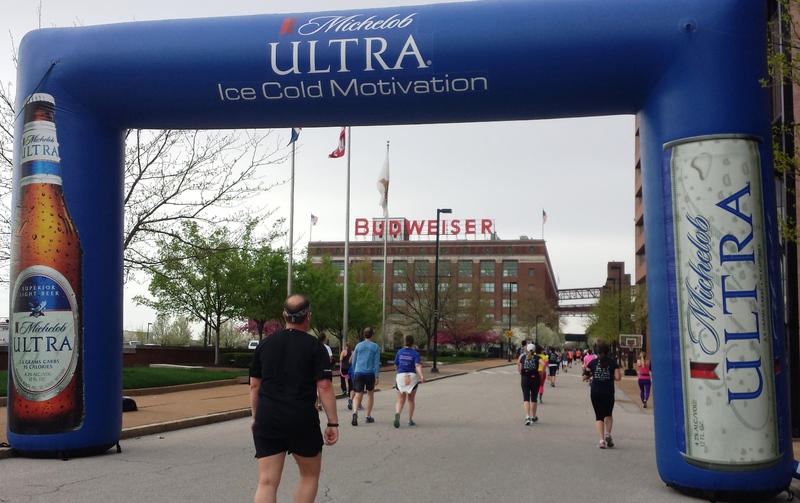 That 5.5 mile stretch was out and back to the Anheuser Busch brewery and it was enough distance that I was able to see my brother on his way to the finish around the 11 mile marker (his side of the road) It was really fun. 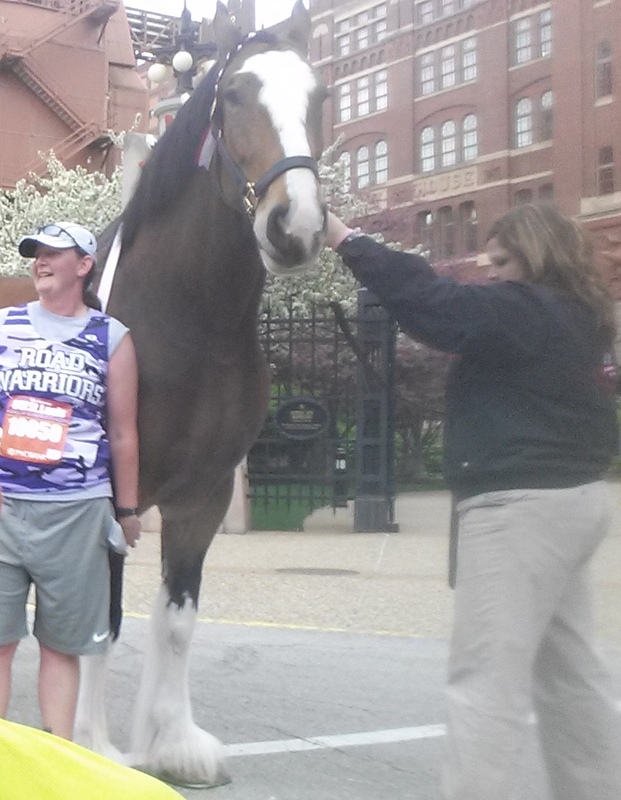 The brewery had one of it’s signature clydesdales horses out for photo ops. After hitting mile 12 and turning back on Market St I kept looking for that 13 mile marker ….I think that marker should be about 40 feet tall and in neon lights personally….. after a couple more turns and going one block north it finally emerged. This was a great race for me. I hit my sub 3 hr time goal last week at the LPHM and I was just looking to emulate that time but with less pain. Mission accomplished. This was one of the easiest half marathons I’d ever done. I had about 95% less pain then the week before and even shaved about 5 min 30 sec off my time from last week. Out of the 6,253 half marathon runners, about 28% of them finished between 1 and 2 hours. 63% finished between 2 and 3 hours and the remaining 9% finished in greater than 3 hours and I was just fine being amongst the majority of runners.